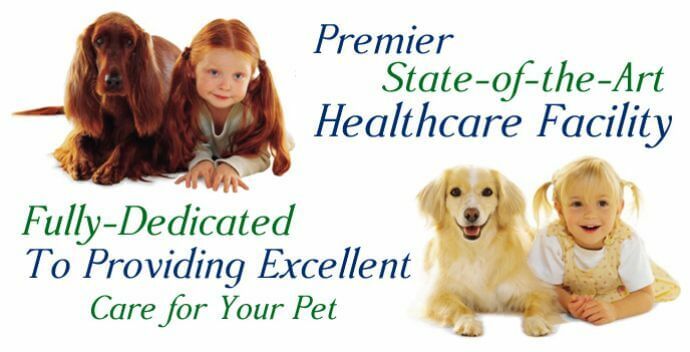 We love our cats and want to take great care of them. Sometimes we don’t know what symptoms to look for and can miss the symptoms that our cat is showing us. Learn more about common cat health problems to take the best care of your cat. Fleas – Many cats get fleas, especially in the summer months. Your cat can show several different symptoms, such as red or irritated skin, black dots on their skin, skin infections, hot spots, or hair loss. These might cause your cat to scratch or lick themselves frequently. Bring your cat to the vet to get proper care. Vomiting – Cats often regurgitate, but it is unsafe when they vomit. If you are not sure of the difference, you will need to bring a sample in to your vet. Vomiting can quickly lead to dehydration, so look for the common symptoms of drooling or abdominal heaving. Vomiting can have many causes, such as eating something poisonous or something not intended to be eaten, cat diabetes, or a urinary tract infection. 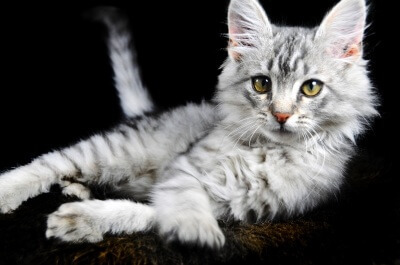 Feline Lower Urinary Tract Diseases (FLUTD) – A lot of cats suffer from FLUTD and they need to be treated quickly by a veterinarian to avoid other problems or permanent damage. It can be caused by obesity, stress, or by eating dry food. Pay attention to difficulty urinating or blood in the urine. Cats can show signs up depression, dehydration and a lack of an appetite. Vomiting is also a symptom of FLUTD. If you see these signs, go to your vet immediately. Diarrhea – If diarrhea has lasted for more than 12 hours, is bloody, or is accompanied by other symptoms, take your cat to the veterinarian. Also, make sure they are drinking plenty of water to avoid dehydration. Diarrhea can be a sign of allergies, infection, liver disease or cancer. Tapeworms – Tapeworms live and grown inside your cat’s small intestine and can grow up to two feet in length. If your cat is losing weight, eating more or vomiting, monitor their feces. 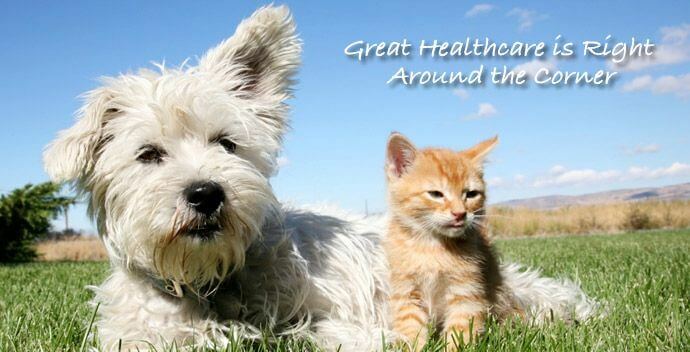 Look for small white worms that look like grains of rice and take them to the vet. Eye Problems – If your cat has watery eyes, fur stained from tears, eye gunk or other concerns with their eyes, take them to the vet. They can be symptoms of eye problems like glaucoma and cataracts. They can also be symptoms of retinal disease, viruses and trauma. Obesity – Studies show that 40-50% of cats are obese, which can lead to many other health problems. Visit your veterinarian to discuss your cat’s diet. 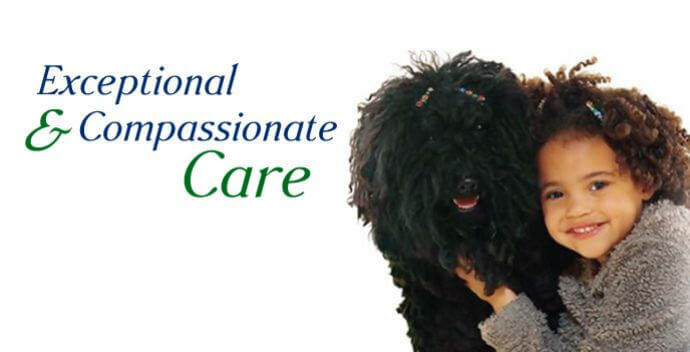 Celebration Veterinary Hospital would love to discuss medical concerns and find solutions with you. 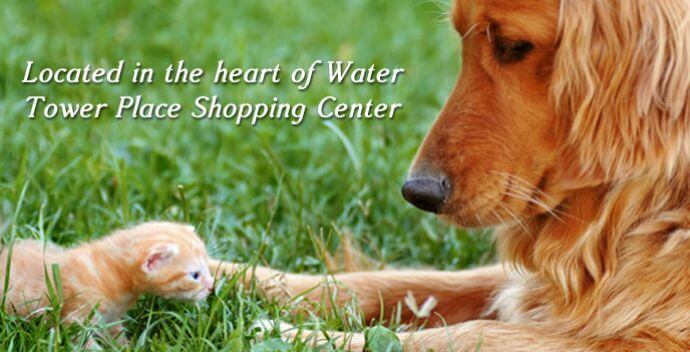 We are located in the Water Tower Shoppes on 192 in Celebration, Florida. If you are near Disney World in Central Florida, we are easy to find. Come in for a consultation.